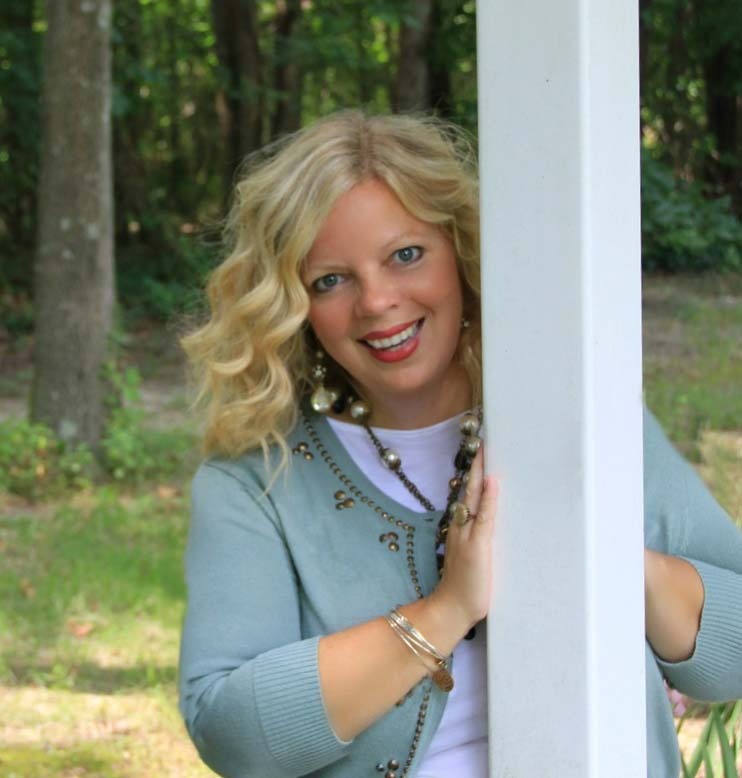 The votes are in for the inaugural FrogTape® Paintover Challenge™ room makeover contest and the brand is pleased to announce blogger KariAnne Wood of Thistlewood Farms as the winner. 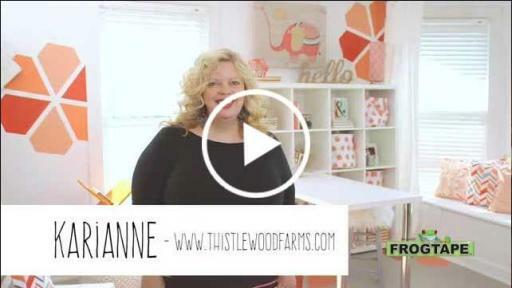 Competing against five other talented home décor bloggers, KariAnne wowed the public with her room transformation to win $5,000 for her charity of choice – the Humane Society – as well as a spot in an upcoming national FrogTape® brand painter’s tape magazine advertisement. 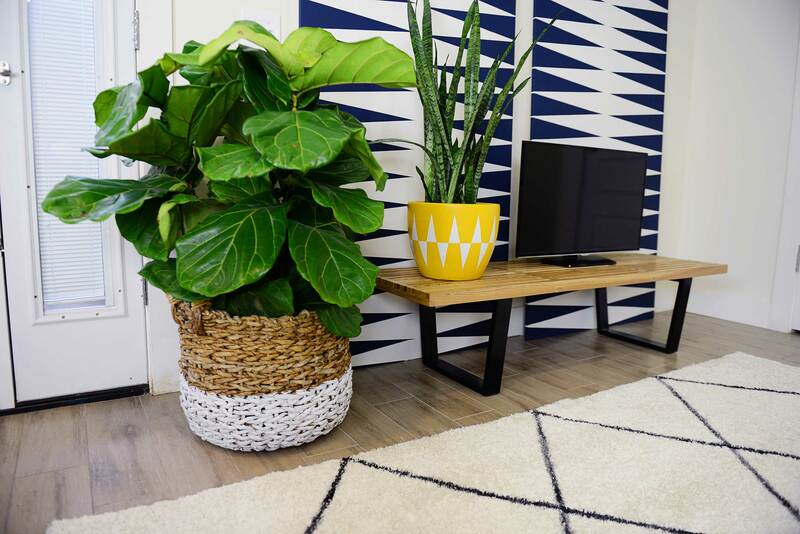 4 Men 1 Lady: Inspired by nature’s patterns, Michelle turned a drab apartment into a vibrant and welcoming space featuring natural textures and fun shapes. 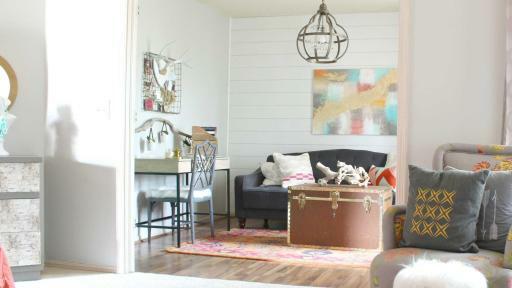 Rain on a Tin Roof: While transforming her master bedroom, Jenna wasn’t afraid to go bold with a patterned black accent wall contrasted with pink and green accents — creating a glam space true to her style. 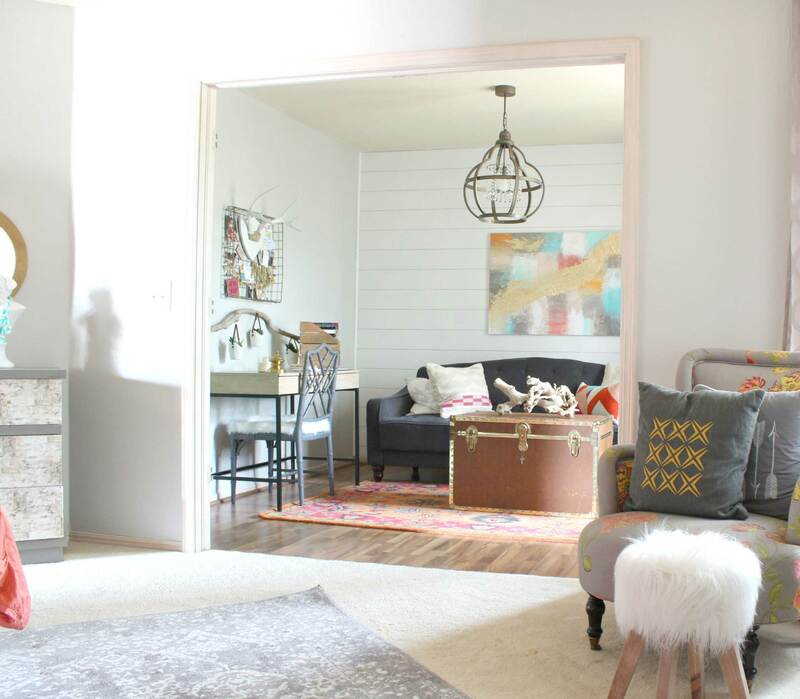 Refunk My Junk: Allison took a dark man cave and transformed it into a chic “she den” featuring textured, distressed furniture, handmade artwork and a shiplap accent wall. 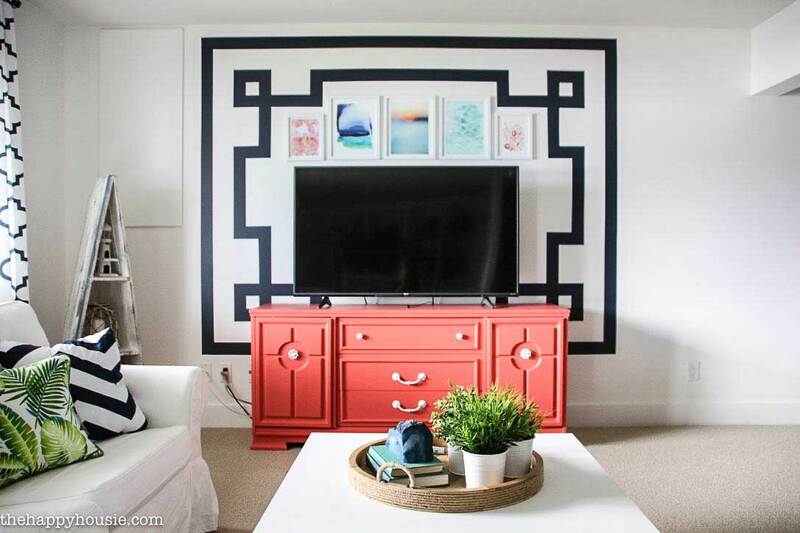 The Happy Housie: Krista gave her basement family room a fresh and fab update by creating unique patterned walls and adding colorful accents to a clean, white space. 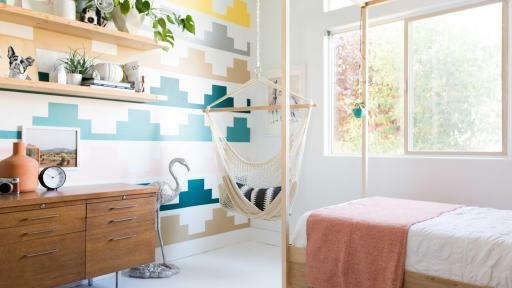 Vintage Revivals: Mandi put her painting skills to work with a geometric, patterned accent wall in a fresh color palette that made a big statement in her daughter’s bedroom. 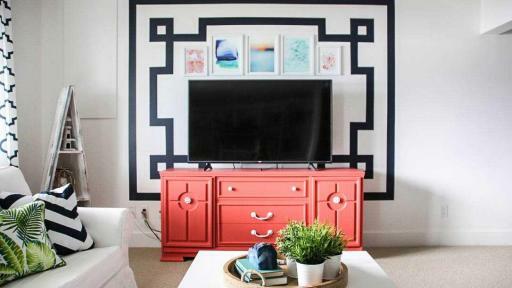 From basic applications on baseboards and trim to bold accent walls and on-trend patterns, using FrogTape® painter’s tape ensured the bloggers could achieve professional results on every project. FrogTape® is the only painter’s tapes treated with patented PaintBlock® Technology. 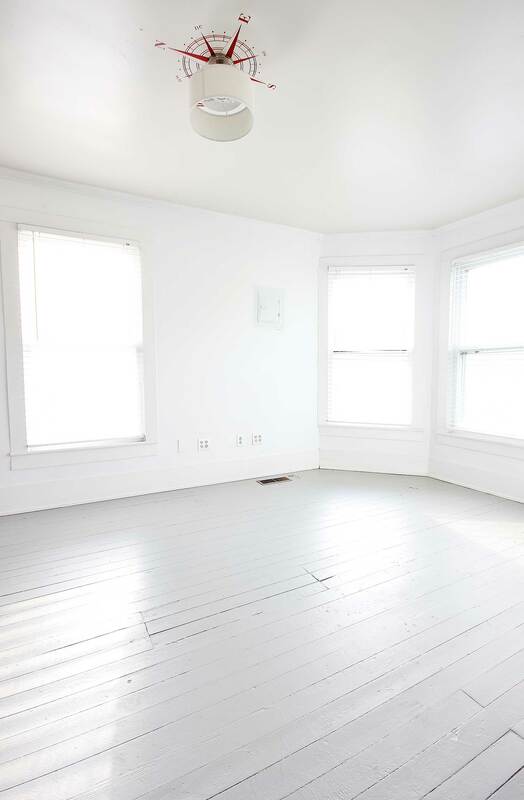 PaintBlock® reacts with the water in latex paint to form a micro-barrier against paint bleed, providing the cleanest, sharpest lines possible. 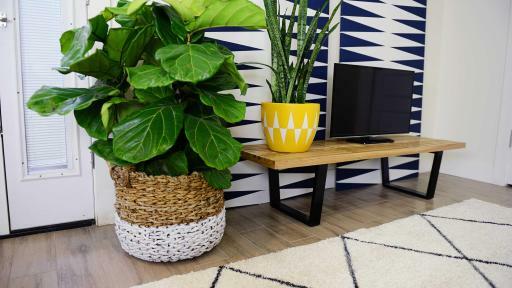 There are several tapes available within the popular family of FrogTape® products, including FrogTape® Multi-Surface, FrogTape® Delicate Surface, FrogTape® Shape Tape™ and FrogTape® Textured Surface. 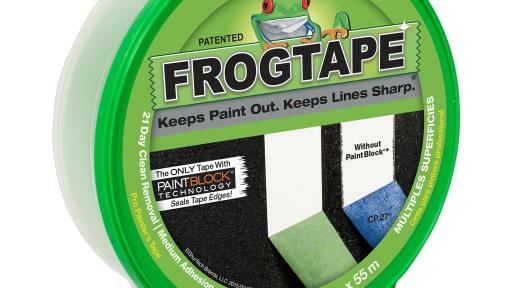 The FrogTape® brand, marketed by ShurTech Brands, LLC, offers premium-quality, innovative painting tapes that feature PaintBlock® Technology, a super-absorbent polymer that seals the edges of the tape which keeps paint out and keeps lines sharp. 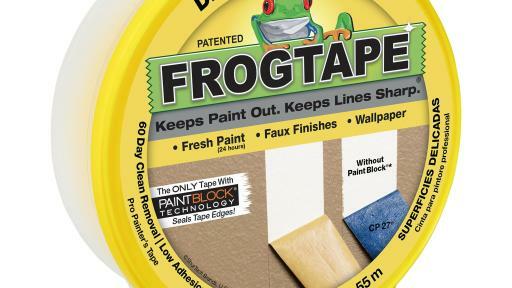 For more information on FrogTape®, visit frogtape.com, Like us on Facebook®(facebook.com/frogtape); Follow us on Twitter®(@frogtape); Follow our boards on Pinterest®(pinterest.com/frogtape) or watch us on YouTube®(youtube.com/frogtapetube). 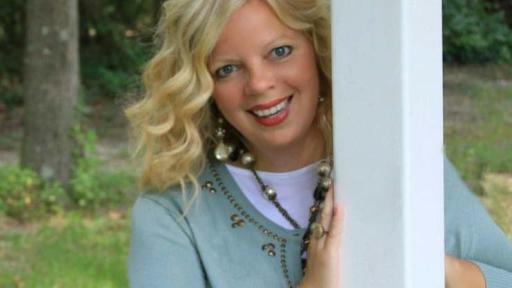 The votes have been tallied! 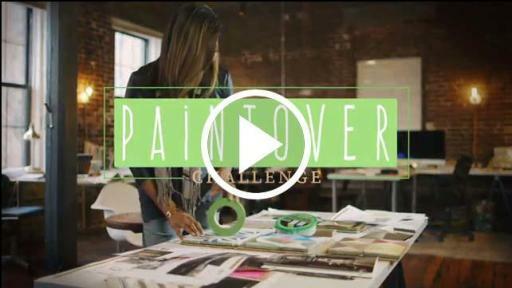 Watch as Taniya Nayak announces the winner of the inaugural FrogTape® Paintover Challenge™ Room Makeover Contest and takes an inside look at the winning blogger’s room makeover. 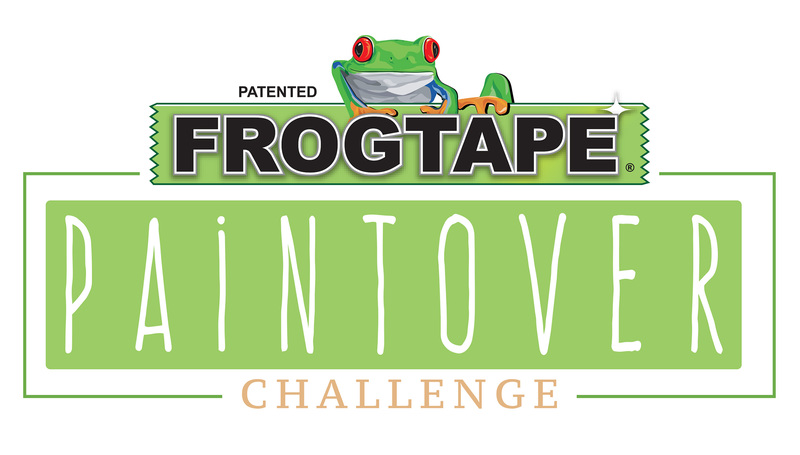 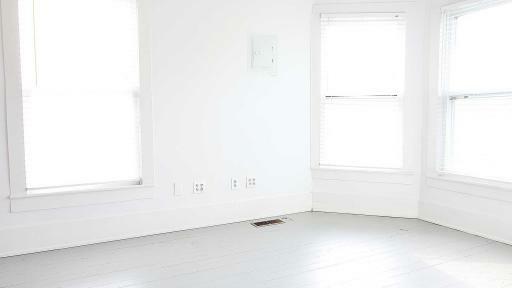 Your room is prepped and ready to tape off, so which FrogTape® brand painter’s tape do you choose? 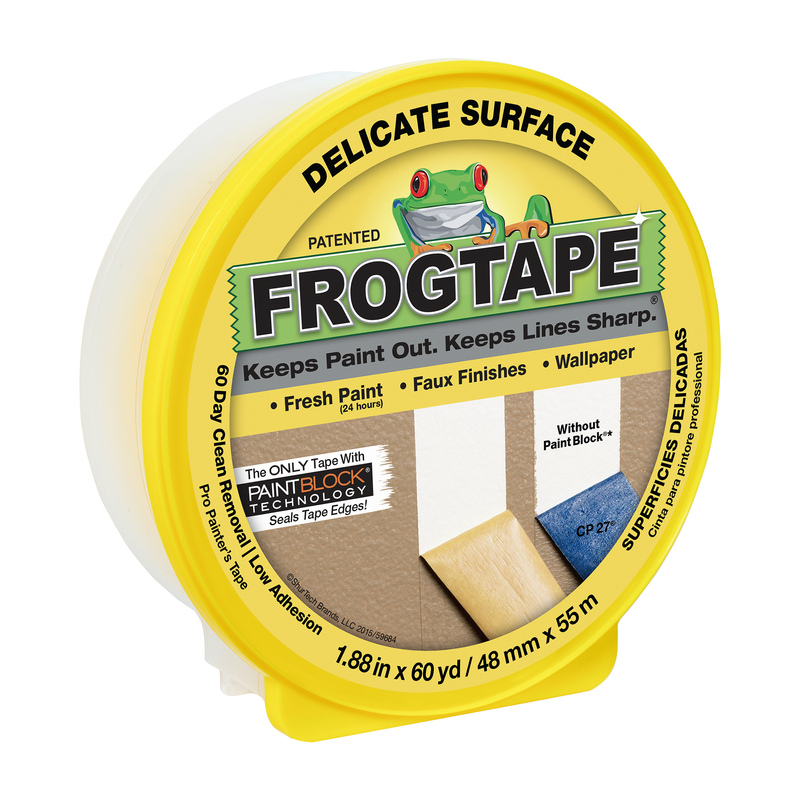 FrogTape® comes in four different grades, from medium adhesion to low adhesion, textured surface and pre-cut repeating patterns. 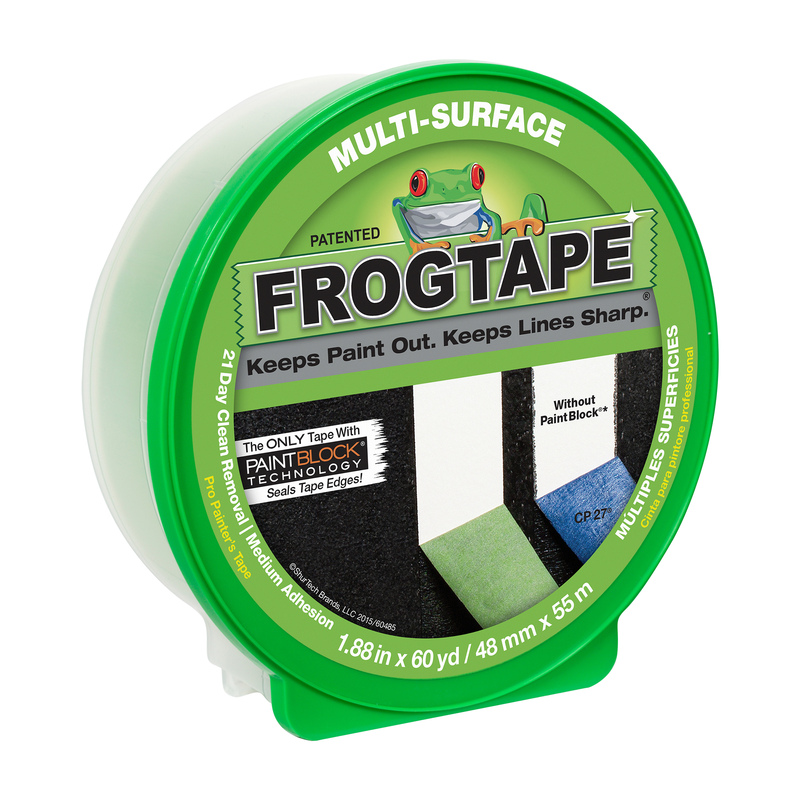 If you’re using FrogTape® painter’s tape for your next paint project, make sure you achieve the best results possible by following these quick and easy tips.